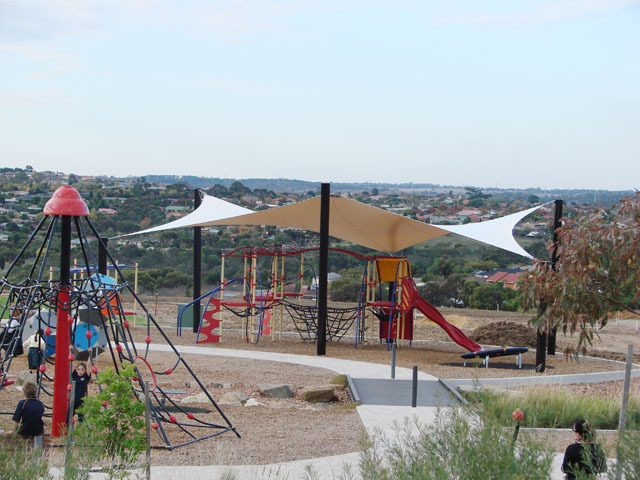 The construction of a series of playgrounds within the Goldenfields Park has created an excellent neighbourhood amenity with modern play facilities for the local community. 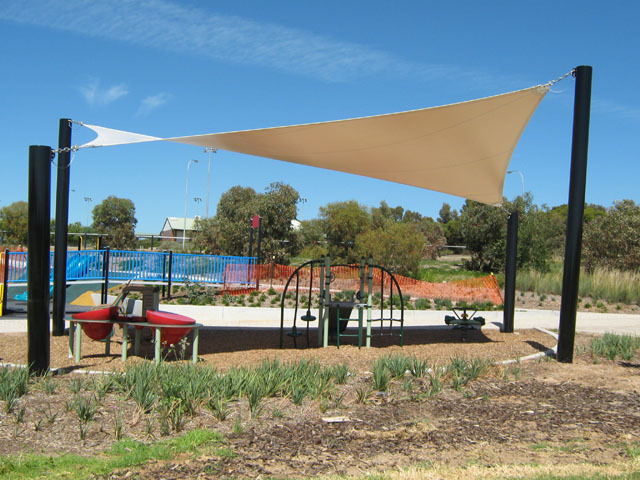 To make full use of these facilities, The City of Tea Tree Gully Council required a series of waterproof sails to provide solar UV and weatherproof protection for playground users. 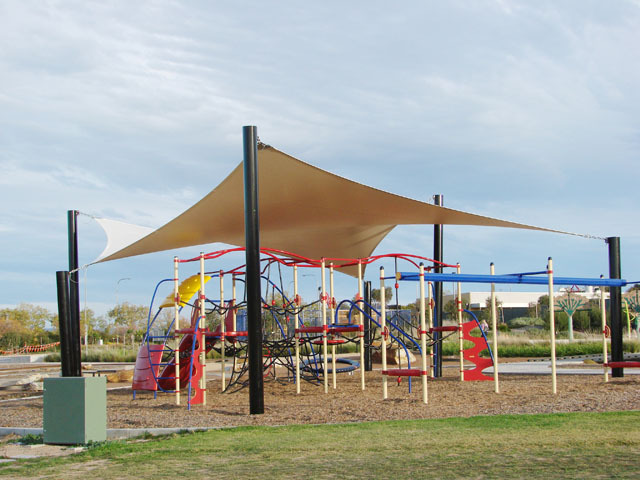 Shadeform was engaged to design, engineer, manufacture and install 3 large format waterproof sails for the toddler, senior and all-access play areas. Using Ferrari 802S waterproof PVC, Shadeform was able to create these striking tensile membrane structures to complement the contemporary appeal of the park. The fabric features an excellent 15 year warranty and comes in 4 eye-catching colours. The local community can now enjoy the use of these excellent play areas throughout all weathers with protection from solar UV as well as rainwater. Sail shade structures are the perfect solution for most residential and commercial shading and all-weather applications. Product flyers for their entire range can be found on the Shadeform website.